SPEAKER: The Ayes to the right, 202. The Nays to the left, 432. So the Nays have it. The Nays have it. THERESA MAY: Thank you, Mr. Speaker. Mr. Speaker, the House has spoken, and the government will listen. It is clear that the House does not support this deal. But tonight’s vote tells us nothing about what it does support, nothing about how … nothing about how, or even if, it intends to honor the decision the British people took in a referendum Parliament decided to hold. I can therefore confirm that the Official Opposition table a confidence motion this evening in the form required by the Fixed Term Parliaments Act, the government will make time to debate that motion tomorrow. JEREMY CORBYN: The results of tonight’s vote is the greatest defeat for a government since the 1920s in this House. This is a catastrophic defeat for this government. After two years of failed negotiations, the House of Commons has delivered its verdict on her Brexit deal. And that verdict is absolutely decisive. UK’s Parliament handed a stunning defeat to Prime Minister Theresa May, rejecting her agreement negotiated with the European Union on how to exit the EU. The vote was 432-202 against. That is more than two thirds of the members of Parliament, including 112 members of Theresa May’s own Conservative Party, who rejected the deal. 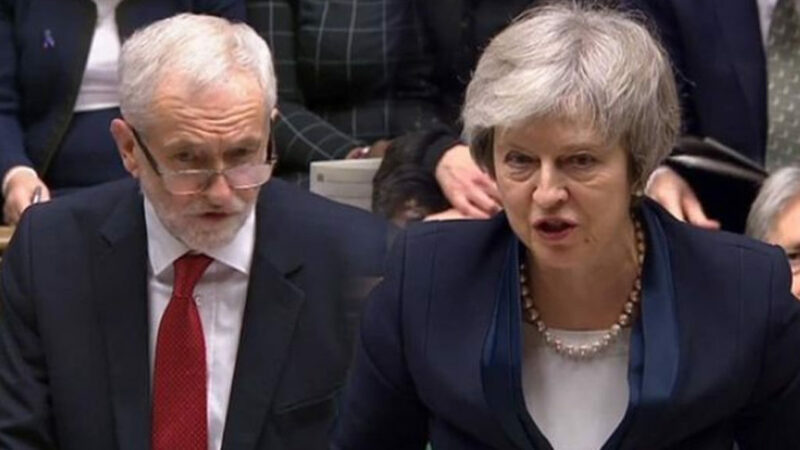 Immediately after the vote, Opposition leader Jeremy Corbyn called for a non-confidence vote against the Prime Minister, which will be debated on Wednesday. Joining me now to make sense of all of this is Leo Panitch and Jon Lansman. Leo is a senior scholar and professor emeritus of political science at York University, and also the author of the book The End of Parliamentary Socialism: From New Left to New Labour. Jon Lansman is the founder of Momentum, an organisation within the Labour Party of Jeremy Corbyn. Also, Jon is a member of the Labor Party’s national executive committee. Gentlemen, thank you both for joining me today. LEO PANITCH: Glad to be here, Sharmini. SHARMINI PERIES: All right. Jon, let me start with you. Now, in her closing argument, Theresa May, after more than 50 hours of debate on the issues at hand, Theresa May said that a better deal would not be possible, and that a new referendum on the Brexit would only betray voters’ will. What do you make of this argument she made? JON LANSMAN: Well, I don’t think it’s true. I think a better Brexit deal is possible, actually, because actually her deal is not very good. And of course the deal you get from the EU depends on what your requirements are. I think we could get a better Brexit deal. I also think that it’s too early, really, to talk about a referendum. I think there has been a referendum. The people made a choice. I think the only circumstance in which you could really call another referendum legitimately is where all other options are spent, if you like; are not possible. And certainly the Labour Party’s policy is to try and secure a general election, which is what the vote of confidence is trying to achieve. I mean it’s happened–this has been a massive defeat for the Conservative government. It’s actually even bigger than Jeremy Corbyn suggested, in fact. The biggest defeat of a government ever in British history. And you know, a third of, only a third of the Tories in Parliament voted for the government proposal, and a third of them, only a third of them, were people who didn’t actually have a job either in government or in the party that meant that it was required of them that they support the government. So it’s really, really disastrous. 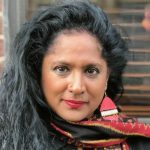 SHARMINI PERIES: Leo, as a historian of British parliamentary politics and Labour Party history, what is the significance of this vote today that everyone is calling historic? LEO PANITCH: Well, Jon’s right. It’s the greatest defeat of a government in all of British parliamentary history. The last time anything like this happened, which is why Corbyn referred to the ’20s, was the defeat of Ramsay McDonald’s Labour government in 1924, 160 vote defeat. This one was 220. It’s very interesting that that was a minority government. They were staying in, very briefly, in office with their support mainly of the liberals. And they lost that support. Also around a treaty; it was an attempt to conclude a treaty with the new Soviet Union after the Russian Revolution, and to deal with the question of British loans, British bonds that hadn’t been repaid. And it was going to involve a loan to the Soviet Union. The Liberals were clearly not going to support that. That is, the whole bourgeoisie was against recognizing the Soviet Union. But they actually brought down the government on the pretext of it having withdrawn a conviction of the newspaper Worker’s Weekly, which had been charged with inserting a workers’ mutiny by telling them not to invade the Soviet Union. That’s why the government was brought down back then. And why I’m saying this is significant. In all of British parliamentary tradition a defeat of this kind, of a much lesser kind, a defeat of a vote last week on a finance bill should have brought down the government. It showed that the House did not have confidence in the government. It hasn’t done so, and it probably won’t this time, because the whole of the bourgeoisie, again, doesn’t want to see a Socialist prime minister in Britain, Jeremy Corbyn. So the very right-wing Tories who have supported Brexit on xenophobic grounds, or on neoliberal grounds primarily, will now vote to keep this decrepit government in power. So one needs to understand what is going on here, not only in relation to Brexit. One needs to understand it as a struggle around the form of neoliberal capitalism that now exists and the search that the new Labour leadership is engaged in for an alternative to it. SHARMINI PERIES: Leo, explain this disarray in the Conservative Party. Have we seen anything like it? LEO PANITCH: Well, I mean, they are completely refusing to recognize reality. It’s unbelievable. There is no way that there will be a separation between Europe and the UK and the EU after 50 years of all kinds of integration; judicial, legal, even departmental structures are heavily integrated, let alone trade, investment, et cetera. There is no way that is going to happen through a hard Brexit. There will be negotiations that will stretch on for years over this. The otherworldly notion, which is really driven, as I say, by xenophobia, is simply not credible. So what is going on here, then, is their refusal to accept that negotiations will continue for a considerable period of time. And of course, there is the question of Northern Ireland. Then it is delicious for someone who knows the history of the Tory party to see them all writhing as they are over there. The division of Ireland, it was the British Tories who divided Ireland, and led to–between the Protestants and the Catholics, the Catholic South and the majority Protestant North, and led to the terrible history of the 20th century in Ireland. So to see them writhing now over this is one of the greatest ironies, and is probably the main reason that this deal didn’t go through. SHARMINI PERIES: Jon, what do you make of this moment for the Labour Party? How can they seize this moment for their own political advancement of a progressive platform? JON LANSMAN: Well, I think we will get the support of most parties, other than the Conservative Party. You know, the SNP, Social Nationalists, and Plaid Cymru, the Welsh nationalists. And the one Green Member of Parliament will be supporting us, I expect. Probably the Liberal Democrats, as well. The trouble is that no Democratic Unionist Party, the Northern Irish party that is supporting the Tories in government–they’re not part of a coalition, but they’re giving them some support–will not. They’ve made clear they’re not going to support us. And I don’t think many Conservative Party MPs will–I don’t think any, actually, will support us. Perhaps there will be some abstentions. But I think they are terrified of the prospect of a Corbyn government. They know that if there is a general election there is a very good chance that we will, we will win that election. That is actually what they expect. And so they will do their best to defer that. But they are not going to win because they have a solution to the current problem. They do not. They are bitterly divided, as Leo said, because so many of them are completely unrealistic. SHARMINI PERIES: Now, Jon, there’s been some talk of the fact that the EU will actually give an extension, and that the discussions and negotiations will be able to be continued till March, when the European Union itself will have an election. And then there is also the option of no deal Brexit, and the Brexit deal that May had reached with the EU itself could be extended in some way. What do you make of these options on the table, and is there viability for such a continuation? JON LANSMAN: Well, the EU has made it clear this evening that they are prepared to see an extension, you know, for continued discussions. So I suspect that will happen, actually. So I think that is quite likely. I don’t think it’ll be a very long extension, it won’t necessarily–I mean, that could be extended again. But I don’t think it’ll be a long extension. So I think the problem is that the Conservatives remain bitterly divided. But what May suggested–she, I mean, she didn’t say that she was going to talk to Jeremy Corbyn, but she is going to continue to talk, as she has done in the last few days, to other politicians. The last few days she’s even spoken to union leaders, not that she got a particularly positive response from them. That’s leaders of unions who are affiliated to the Labour Party. So she does appear to be trying to win support for something like her current deal. But unless she shifts significantly, I don’t think she will win much of that kind of support. SHARMINI PERIES: All right. Let me pose the same question to you, Leo. What options does the Labour Party have at this moment? As I said earlier, Jeremy Corbyn has called for a no-confidence vote. At least, he has tabled one. What ways can the Labour Party seize this moment for their own political progress? LEO PANITCH: Well, I think we have to realize–I think we have to realize that there are divisions in the Labour Party, especially in the parliamentary Labour Party, that are significant. And a very large chunk of the parliamentary Labor Party is in favour of the second referendum. The actual party policy, established through a compromise at the last Labour Party conference–and Corbyn, and Jon, who has spent his life devoted to this–are people who adhere to Labour Party conference decisions. That compromise was that Labour would go for a general election. Failing that, other options were on the table, the second of which is a referendum, the people’s vote. And the Blairite wing of the Labour Party has been, in fact, the motive force, together with some of the Liberal Democrats, who I don’t think actually will vote for the vote of confidence, but we’ll see, behind the people’s vote, behind the second referendum. One of the reasons–Jon can correct me if I’m wrong–that people like him and Jeremy are reluctant to see a second referendum is that there is a danger, I mean apart from all of the reasons why the European Union might hamstring the Labour government which had a socialist strategy. The other reason is that it could shift the balance of forces in the party in favour of the Blairite wing, or even the more moderate center-right members the Labour Party who are not socialists for the most part, and who tried to bring down Jeremy Corbyn a year after he was overwhelmingly elected as leader, and then he was more overwhelmingly elected again by the party membership and supporters; largely thanks to people like Jon Lansman. So this has to come forward. Now, there are very difficult strategic decisions involved here. The polls show that a majority of Labour voters would like to see a second chance to vote on Brexit. I think if you asked a lot of them “Would you rather have a socialist Britain than a capitalist Europe,” they might say a socialist Britain. But they’re not given that choice. And and one has to ask in socialist strategic terms, even in progressive strategic terms, whether it is the case that the main obstacle to a progressive, to a socialist Britain lies in Brussels, or lies, rather, in the City of London, the ruling class in Britain, and indeed, in those institutions of the British state which are so tightly integrated with the American empire, including the security and military apparatus. Brussels may have been the greatest barrier to socialism in Greece, but it’s not the greatest barrier to socialism in Britain. And should there have to be a second referendum, should Britain [remain], and Corbyn was a remainer with conditions in the first referendum, should there be one, it is not the end of the world in terms of a social strategy. Corbyn would then be burdened, the Corbyn government would be burdened with negotiating the conditions of re-entry. And you know, the time may have to come when a socialist government would have to stand up to the EU, and indeed, not obey some of the Brussels rules. But that’s hardly the biggest obstacle. So I think people need to get their strategic perspectives right in the face of this tremendous [prefaces]. SHARMINI PERIES: All right, gentlemen. Let’s take a pause here and return in segment two to continue this discussion. Thank you both for joining me for now.